The two groups left us speechless. 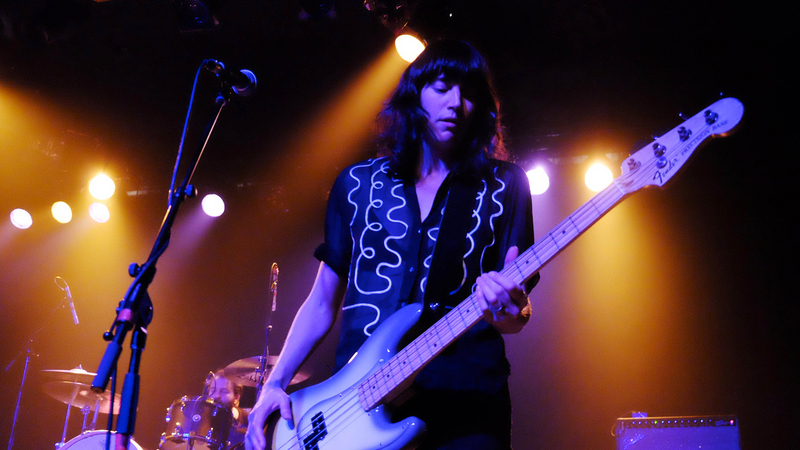 British-rockers Band of Skulls know how to pack a serious punch. A punch, of course, with gritty guitar riffs, heavy bass lines, and knockout vocals from Russell Marsden. The trio, hailing from Southampton, England, have built up quite a unique sound over the years. A mix of varied guitar pedals, dynamic rhythms, and playfully distorted vocals are what give these former schoolmates their own garage rock vibe. The “I Know What I Am” band is out headlining shows to promote their latest release, By Default, their fourth studio album, which was released last May. They also brought along Athens, Georgia-based band Mothers, whose painfully honest and emotionally charged rock tunes were a perfect way to start off the night. Lead singer Kristine Leschper’s uniquely pure vocals left us longing for more. Luckily, we were there to experience the whole show. All in all, the two bands left us speechless. Check out our photos below from the concert in Seattle! Make sure you’re tracking Band of Skulls and Mothers on Bandsintown so you can stay up to date on their tours.